Posted by Shane Ryans on May 9, 2013. The Marketplace Fairness Act (widely known as the Internet sales tax bill) passed the Senate on Monday, and with the support of President Obama, there’s a good chance it will pass the Republican-controlled House. The likelihood of the bill passing has many consumers wondering what they’ll pay, and when. Five states do not have statewide sales tax: Alaska, Delaware, New Hampshire, Oregon and Montana. If you live in one of these states, you will not be charged on products you have shipped to your home state. eCommerce businesses that are based in these states will have to collect sales tax for goods shipped to other states where there are sales taxes. If you live in a state that does have sales tax, you will pay the same amount of sales tax as you would if you were to buy the same item in person at a brick-and-mortar store. So how can you figure out exactly how much sales tax might you pay? Unfortunately, there isn’t a one-size-fits-all answer to this question. Sales tax rates are complicated and vary according to the type of product you’re purchasing. To find out how much an item will cost under the Marketplace Fairness Act, select a location and tax category on Tax Cloud’s Interactive map. 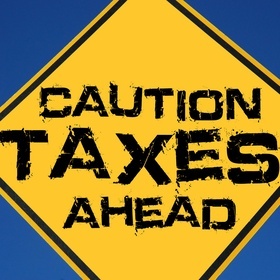 The good news is that it will be possible to avoid sales taxes by purchasing from small, out-of-state businesses that make less than $1 million a year, and by not reporting use taxes when you file your taxes. But before you begin stockpiling products from your favorite online stores, realize that at the earliest, the bill could go into effect on October 1, 2013 (barring any major hurdles). Do you work in online marketing? Concerned about how the Internet sales tax might affect your clients’ online businesses and how it will affect your pay-per-click marketing costs? Subscribe to our blog for the latest information on this developing story and how the new bill might affect your PPC advertising efforts.